Following a violent crime, like homicide, there’s a natural tendency for people to comfort the victim, or the victims’ family, in the days and weeks that follow. But what happens after the dust settles and the tears dry? Families are left grieving and in need of support. 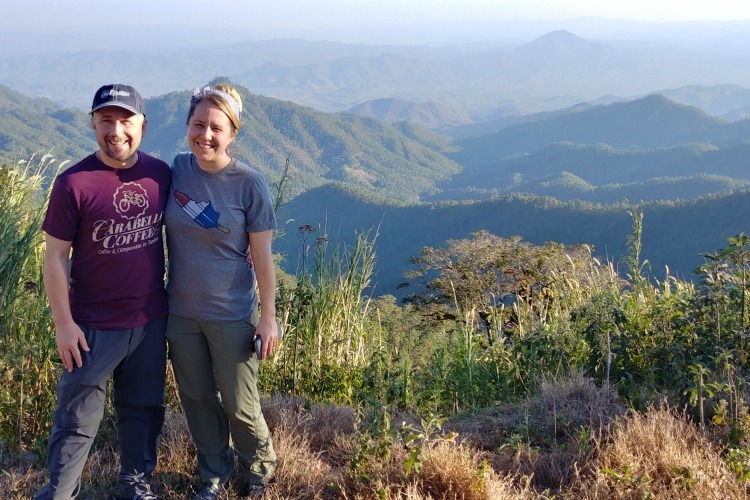 The idea behind Fort Wayne UNITED’s Meals 4 Healing is to act as an agent of change in nursing those fresh and painful wounds through food, and more importantly, human connection. 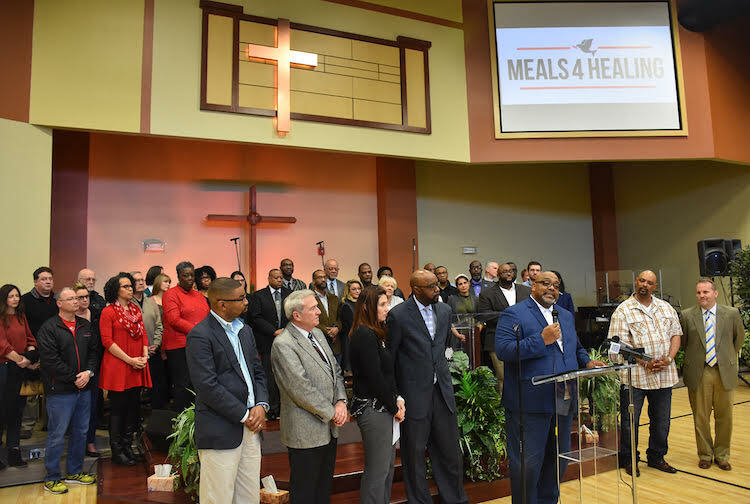 Launched Feb. 28, Meals 4 Healing is a direct response to a public health crisis facing our community and our nation at large. Homicide is the leading cause of death among African-American males ages 10-24, according to the Centers for Disease Control. 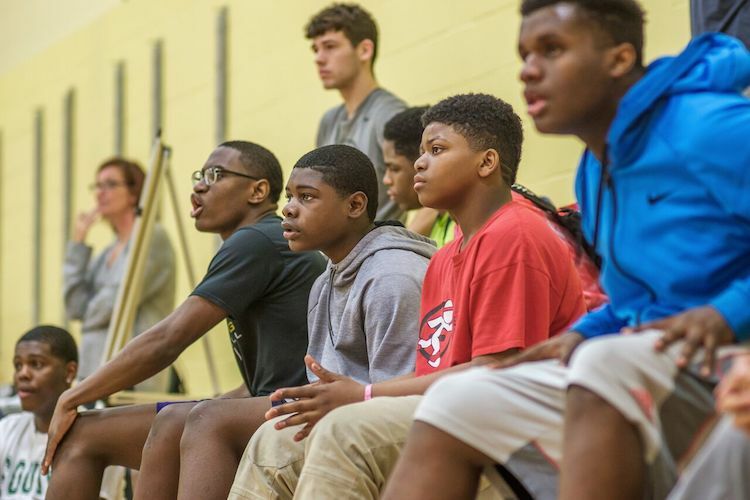 Participants in the Fort Wayne United Late Night Basketball Program wait on the bench during a game. 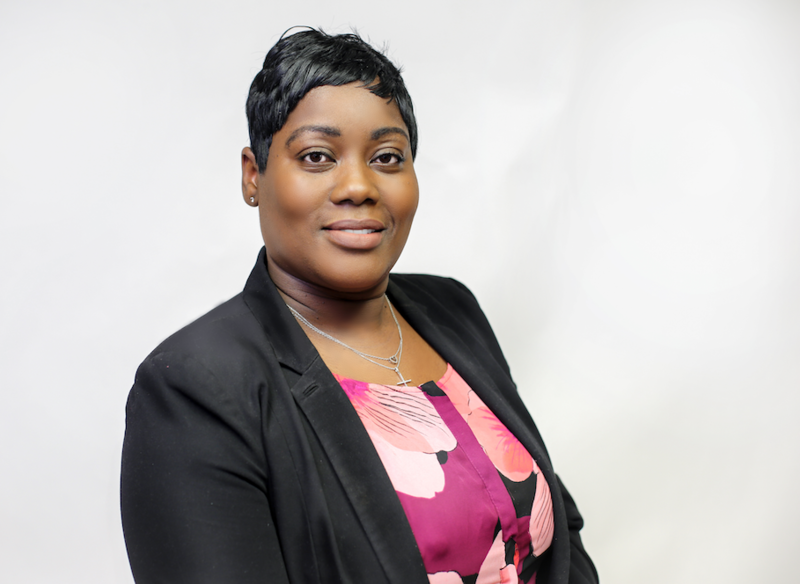 Fort Wayne UNITED’s Program Manager Iric Headley has a clear voice that commands attention. He explains that with the support of community volunteers and partners, he’s working to change the status quo for young black men because, put simply, he’s been there. Fort Wayne United Director Iric Headley and Executive Director of Renaissance Pointe YMCA Amos Norman. His father moved the family to Fort Wayne from Trinidad and Tobago in the Caribbean when Headley was 10 to pastor a church in the inner city. Although the ministry went well, his parent’s marriage unraveled, and his mother was put to the test. In fact, at one point in his youth, he lived on the same block as the biggest drug dealer in Fort Wayne. In his words, he was in the “wrong crowd” and feels fortunate to not have ended up in jail or even dead. “So, I understand it from an experience perspective, not just a textbook (concept),” he says. 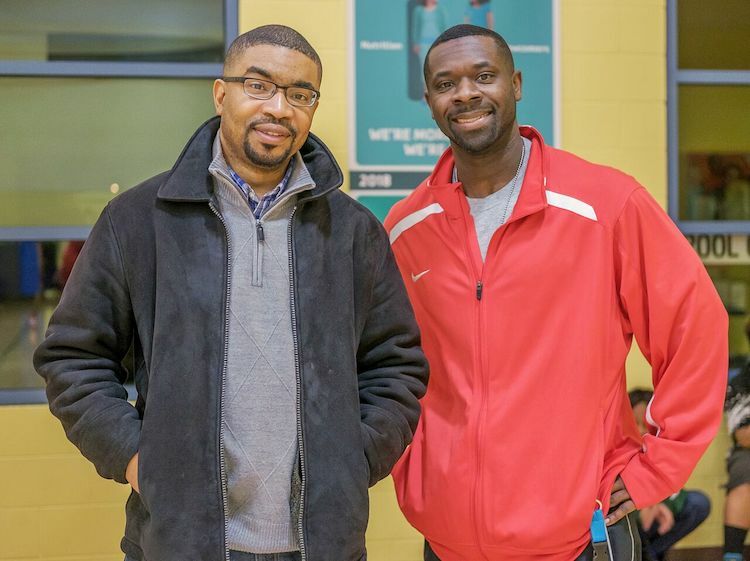 Fort Wayne United Director Iric Headley and Blackhawk Ministries Pastor Kevin Rivers. For Headley, life turned around when he met a few of the right people at the right time. He’s quick to credit his mother for her consistent support and prayer. “They believed I could change,” he says, and so he believed, too. 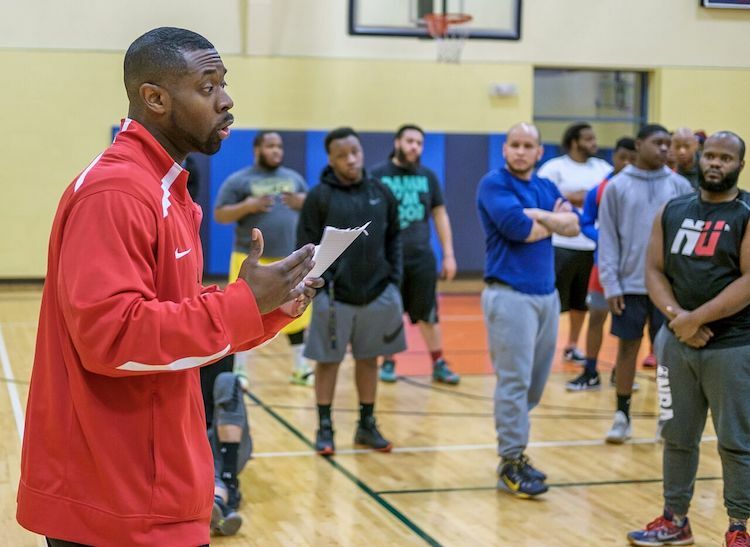 Life took him a new direction in his 20s when he was given the chance to work in youth development at Weisser Park Youth Center. Fort Wayne UNITED is the culmination of his work in the field. Executive Director of Renaissance Pointe YMCA Amos Norman talks to participants of the Fort Wayne United Late Night Basketball Program. It started as a Mayoral initiative in 2016 that brings two national efforts together under one umbrella: Cities United and My Brother's Keeper. As part of Cities United, Fort Wayne is one of 92 cities across the US that has vowed to reduce homicides by 50 percent by 2025. But that effort goes beyond basic crime prevention to building hope in communities by providing pathways to justice, employment, education, and opportunities for residents of all races. Since its inception, Fort Wayne UNITED has taken on a similar mission. In a climate often driven by hard data and metrics, Headley says the goal is to show the community that empathy still has a place. “At Fort Wayne UNITED, we want to operate from our hearts,” he says. 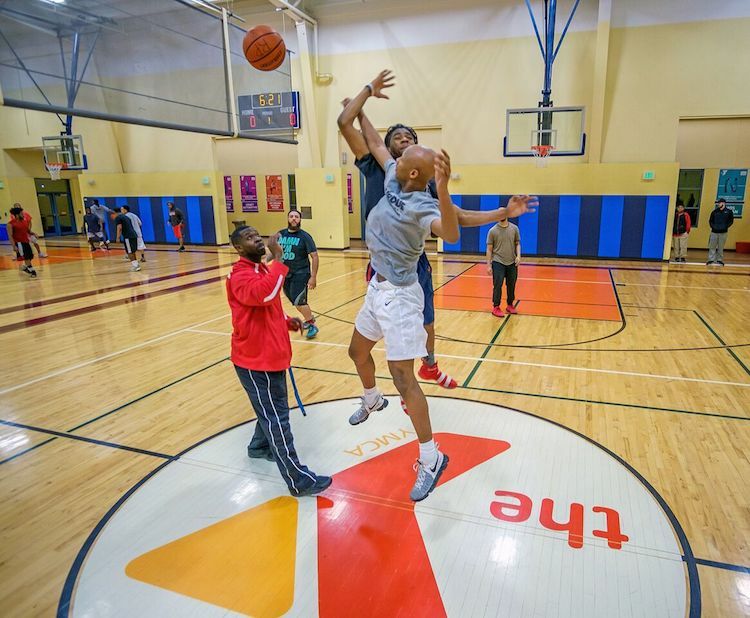 Fort Wayne United's Late Night Basketball Program serves boys at the Renaissance Pointe YMCA. 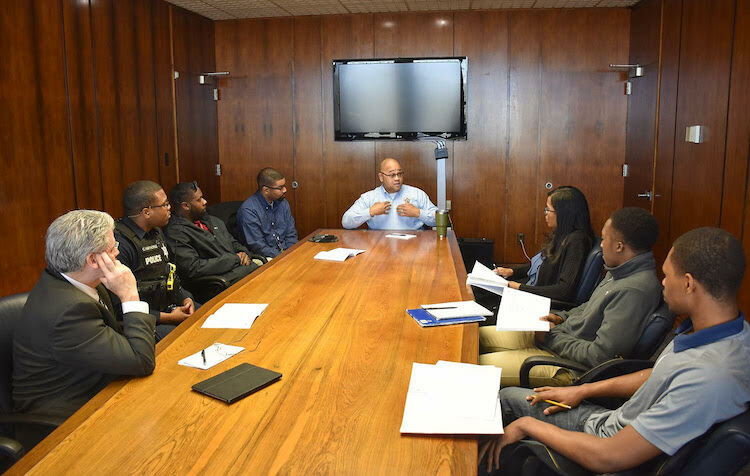 The group has developed several initiatives to enhance opportunities, advance youth advocacy, and create a safer city for all, lifting up young black men, so they see the potential in themselves. It’s breaking down stereotypes in predominately white communities, too. Fort Wayne UNITED’s newest effort, Meals 4 Healing, reaches across the city’s cultural divides in a way that is simple, yet impactful. Following a death by homicide, families of the victims are engaged with a case worker from the Victim Assistance team within the Fort Wayne Police Department to be given the opportunity to receive meals while grieving. 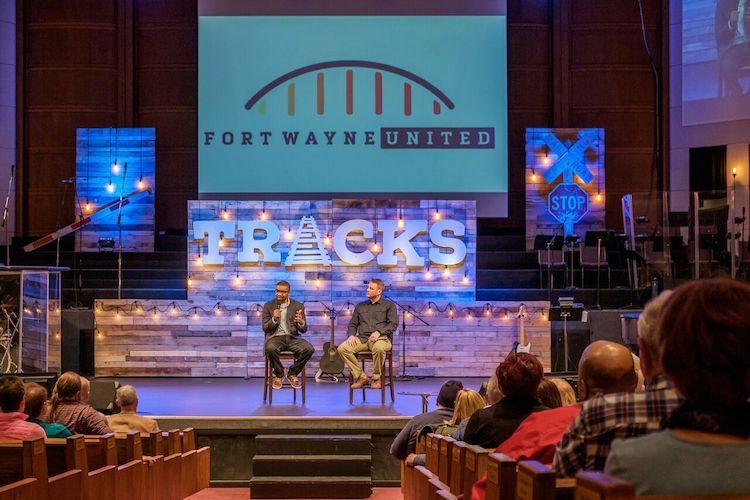 From there, participating families are provided with meals delivered to their homes by local churches that have partnered with Fort Wayne UNITED’s mission. These churches include: Blackhawk Ministries, Hope Community Church, King’s Community Outreach, New Covenant Worship Center, Pathway Community Church, The Chapel, Trinity English Lutheran Church, and Wallen Baptist Church. A tipoff of the Fort Wayne United Late Night Basketball Program. While churches are often thought of as natural partners for meal programs, Headley says it’s no coincidence that these particular churches are involved in Meals 4 Healing. Most of them are predominantly white churches in the suburbs that might be accused of being “removed” from the issues plaguing minorities. So Headley says the actual food in the Meals 4 Healing program often comes second to the values of community building and breaking down barriers. 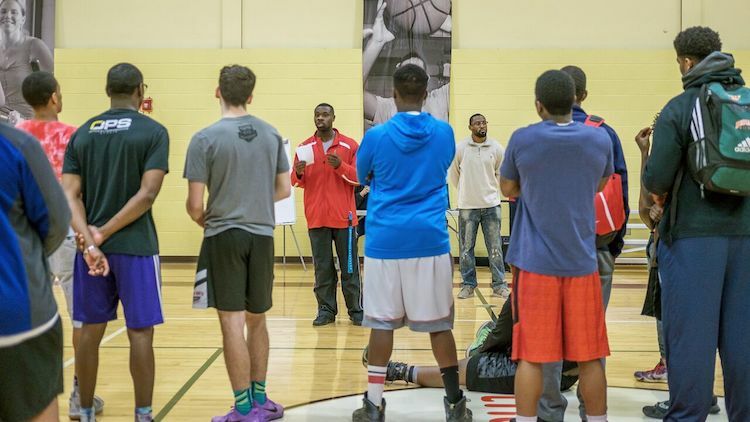 Fort Wayne United Director Iric Headley speaks at a Blackhawk Ministries event. To date, Headley says two families have been served by Meals 4 Healing, and the response has been positive. 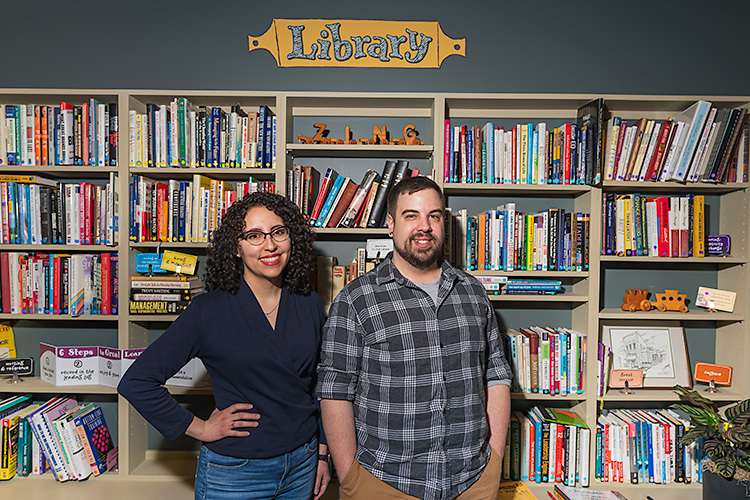 The program is funded through the City of Fort Wayne, as well as private donors, but additional support is welcomed to help them further their impact. Youth learn about Fort Wayne UNITED and the Fort Wayne Police Department. Trinity English Lutheran Church in downtown Fort Wayne is one of the churches that partners with Fort Wayne UNITED on Meals 4 Healing. 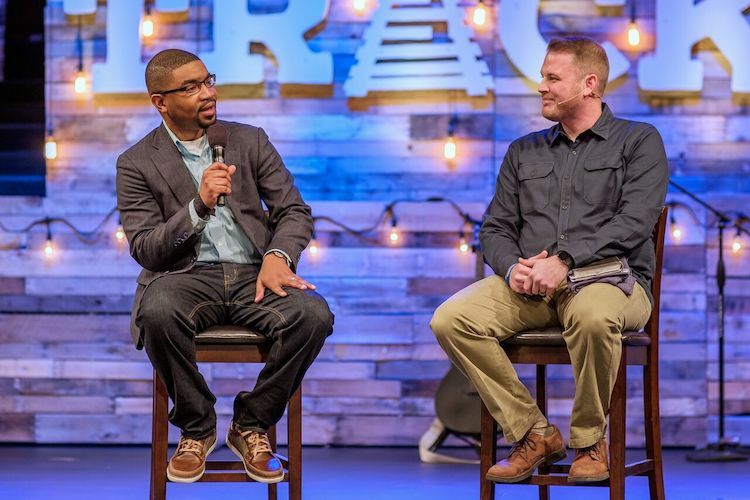 Senior Pastor Gary Erdos says he first heard Headley speak about the program more than a year ago, but it was a matter of figuring out how to execute the project in a practical way within his congregation. His church hasn’t delivered any meals yet, but they are on call. Erdos says he supports the program for many reasons. Meals can provide a sense of community, so families don’t feel isolated in their grief. A Meals 4 Healing news conference in February. He says it’s also a way to help his congregants relate more to people with whom they might not otherwise interact. If you don’t live in a neighborhood where homicide is a problem, the Meals 4 Healing program can bring that issue a little closer to home, he explains, which is closer to the truth. In reality, the cause and effects of homicide go beyond any one part of the city and involve the whole. Efforts to address homicide should involve the whole, too. 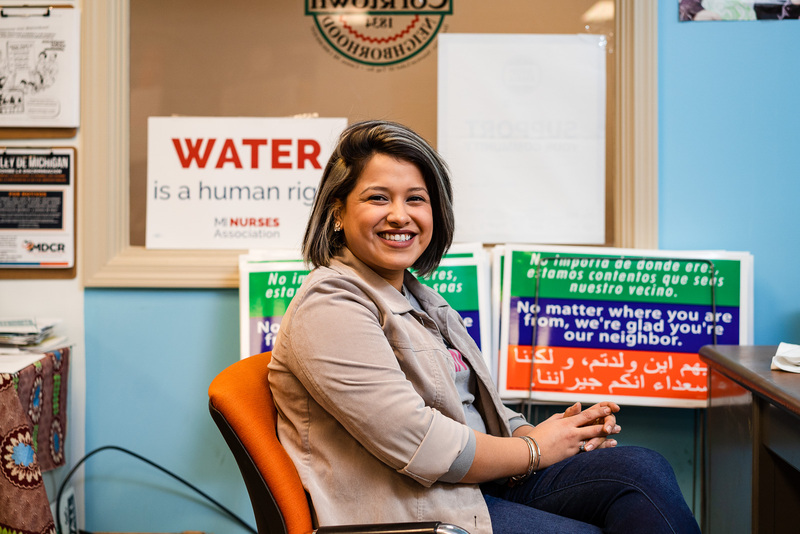 “Whenever we leave anyone on the sidelines, we’re affecting our whole community,” Erdos says. For more information about Fort Wayne UNITED, visit www.fwcommunitydevelopment.org/fwunited.